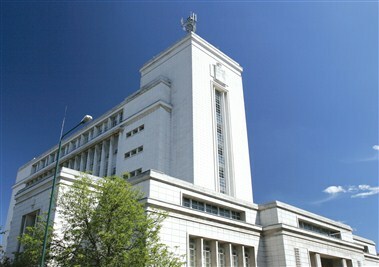 Nottingham Conference Centre is a dedicated, year-round facility located in the heart of Nottingham city centre within Nottingham Trent University's Newton building. 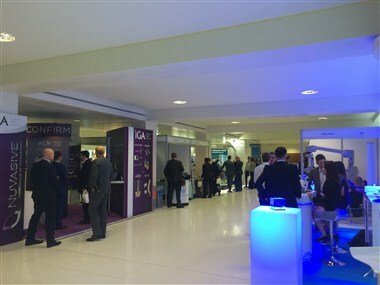 Our team are committed to servicing a wide range of events including international conferences, meetings, product launches, exhibitions, training and private functions. 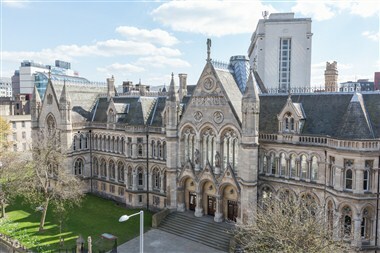 The venue is new, and as a major part of the multi-million pound Newton-Arkwright regeneration development at Nottingham Trent University, it has centuries of history. 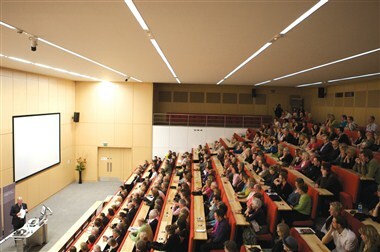 Our range of unique function and exhibition spaces includes large tiered and flat floor lecture theatres, naturally-lit meeting rooms and executive boardrooms; whether it’s an executive meeting, training event, new product launch or major annual conference, Nottingham Conference Centre provides first-class conference spaces, world-class facilities and unrivalled organisational support, all at highly competitive prices. 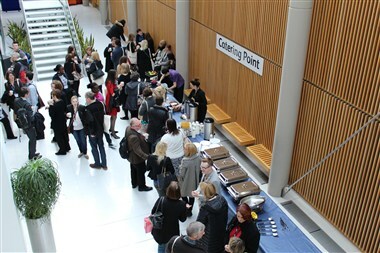 Nottingham Conference Centre is a vibrant, versatile and modern space, comprising of 12 comfort-cooled conference rooms available all year round plus multiple teaching spaces outside of term time, all with fully supported audio visual packages. These rooms can cater for 12 - 470 delegates, depending on your individual event needs. Terms and Conditions will be issued with all bookings. Detailed cancellation policy and charges are detailed in this document. Although we are a non-residential venue, we do have a list of hotel partners that we work with providing a good mix of accommodation to suit your budget. Nearest Tram Stop - 'Royal Centre' - 1 minute walk from Nottingham Conference Centre Nottingham Train Station - 0.7 miles - 10 minutes by tram or 15 minutes walk Nottingham East Midlands Airport (EMA) - 14.5 miles - 30 minutes by car.